There’s no doubt that bunnies and chicks are very cute! 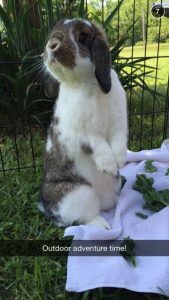 And there are some bunnies that need to be adopted and rescued. We just ask that you read this before bringing home a bunny or chick for Easter! 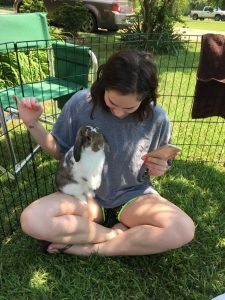 Rabbits are not “low-maintenance” pets, and are a poor choice as a pet for children. They have a lifespan of 10 years and require as much work as a dog or cat. Your home must be bunny-proofed, or Thumper will chew cords and furniture. Rabbits must be neutered or spayed or they will mark your house with feces and urine. They should live indoors, as members of the family. They become fully grown in 1 month (maybe 2). Chicks/Ducks do not make good starter pets for children, they are not easy to care for. Chicks/Ducks can peck and pinch aggressively. Chicks/Ducks are extremely messy eaters and poop a lot. Chicks/Ducks can develop health problems and cannot be treated by a standard “dog or cat” veterinarian. Exotic veterinary bills are prohibitively expensive.